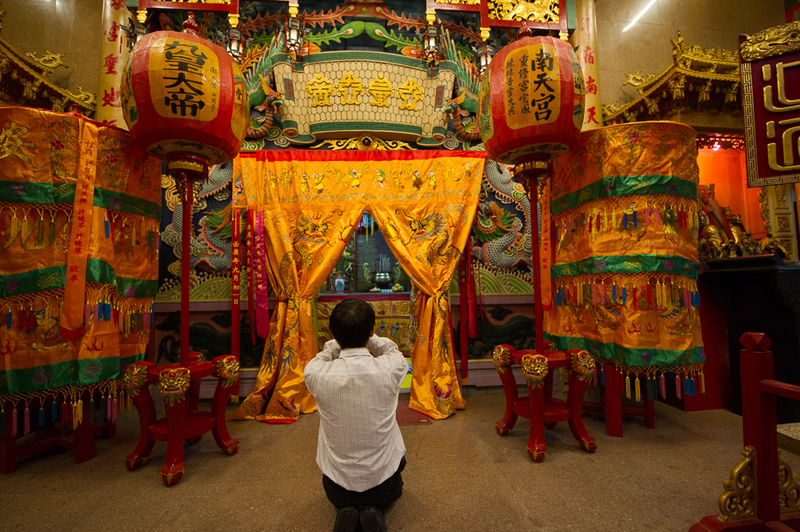 Sharing photos of the Nine Emperor Gods festival is one of the highlights of my year. That may seem silly but it’s the truth. So here we are again! I hope that you enjoy the 2012 blog. I invite you to contribute to our knowledge of the festival. Leave a comment or a link to some of your stories and photos and I will post it. Such a treat to go to the temple today, meet old friends and be part of the quiet buzz of traditions. The vendors and the devotees will start arriving tomorrow. I was very pleased to see that they have finally covered the gaping hole in front of the opera house. Now of course we have to be careful that we don’t trip on it, but it is much less hazardous. And the area is fenced off so the patrons will have a seating area. I guess that the opera troupe will arrive tomorrow too. The office was the beehive today . 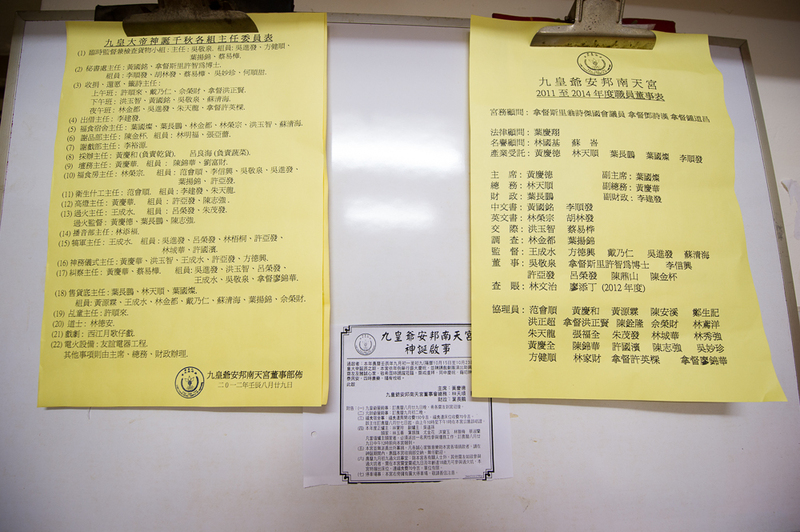 Lists of responsibilities are posted on the wall and the management of donations of rice and oil has begun. 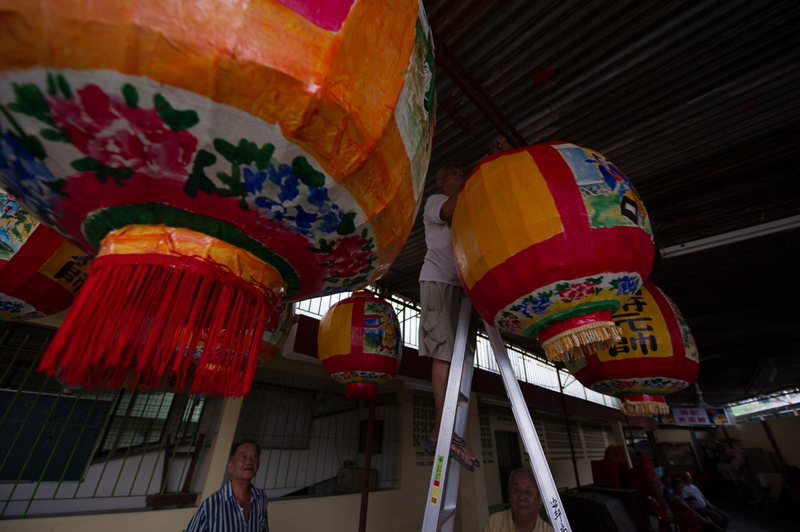 It was good to see Mr Lim there, with his lanterns and his grandsons helping to carry them in. For me it felt like we were really ready to go when then lanterns were hung. 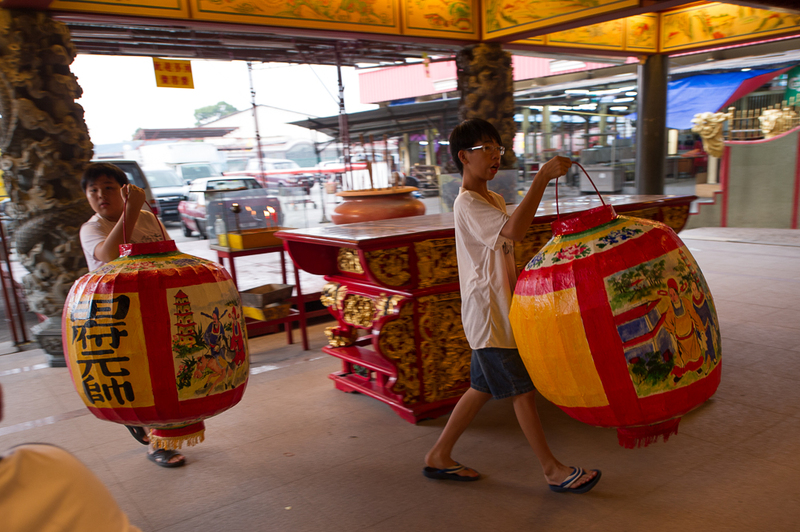 See my post on Lim of the Lanterns in 2010. There was already food preparation for this is Malaysia! 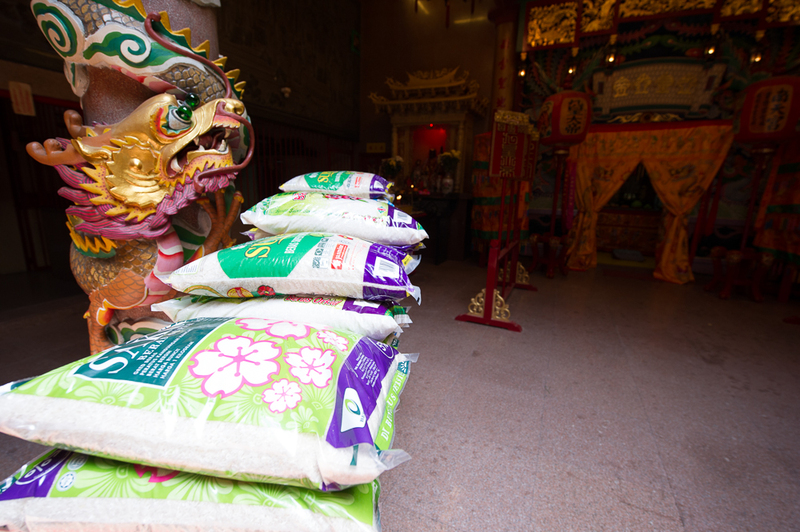 Don’t forget to keep vegetarian if you are coming to the festival! Last but not least, the prayers have begun. The altar is ready for the Emperor. The place is so beautiful now, without all the smoke that comes with the festival. 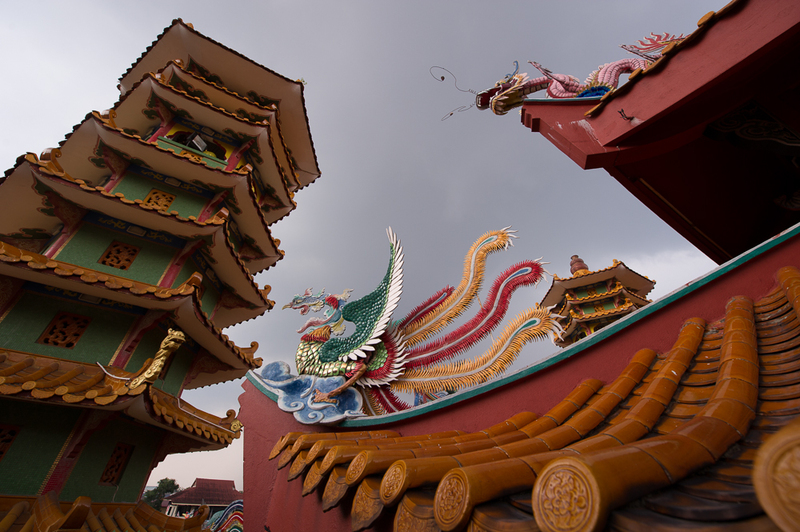 The altar to the Five Generals boasts freshly painted horses… and the dragons and phoenixes on the rooftop wait expectantly. 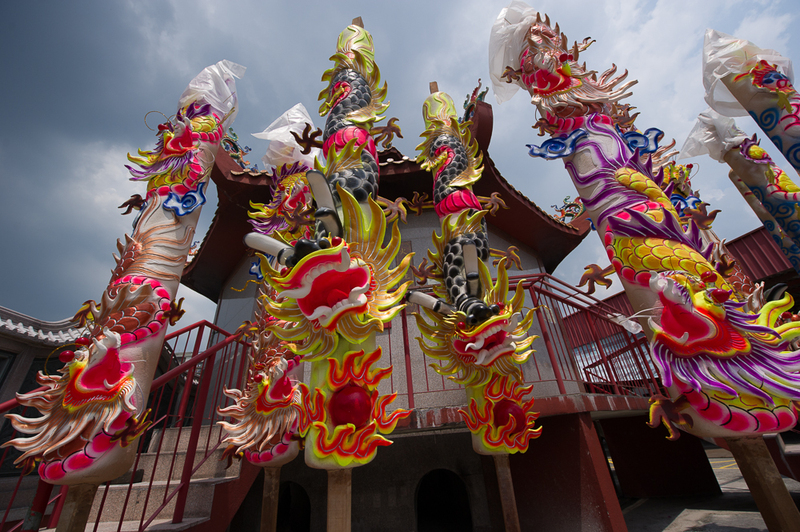 This entry was posted in 2012 and tagged Kow Ong Yah, Nine Emperor Gods Festival 2012, Nine God Festival. Bookmark the permalink. I am so excited. It would be very Helpful if there is a schedule of the Processsion taking place in the Sunday Evening. What time. I will be posting a schedule for Sunday later today. The procession leaves the temple at about 8pm but of course there is a lot of activity before that. 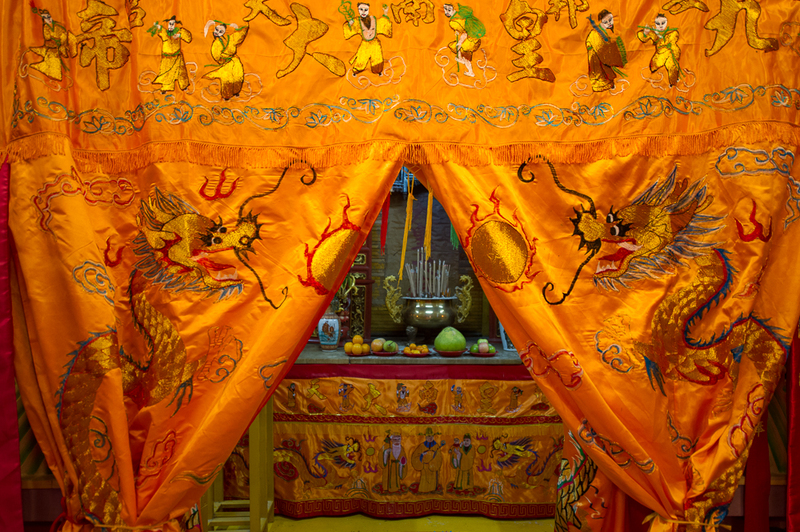 The procession returns to the temple with the god at about midnight. Watch here for more information.